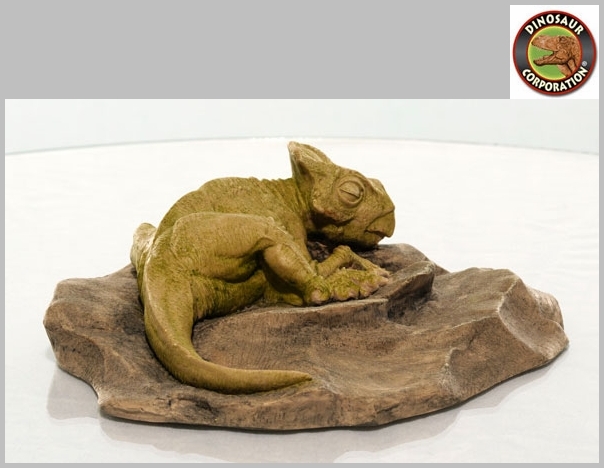 The artistic interpretation of a resting Protoceratops. A perfect prehistoric gift for dinosaur enthusiast's birthday. * Dimensions: 6 inch long x 6 inch wide x 1.75 inch tall. 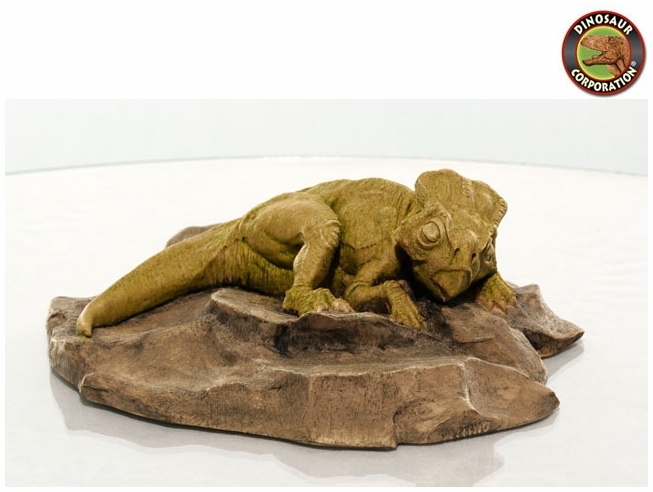 * Dinosaur art sculptures are made of super-strong Smooth-On resin for durability. Protoceratops is a genus of sheep-sized herbivorous ceratopsian dinosaur, from the Upper Cretaceous Period of what is now Mongolia. It was a member of the Protoceratopsidae, a group of early horned dinosaurs.